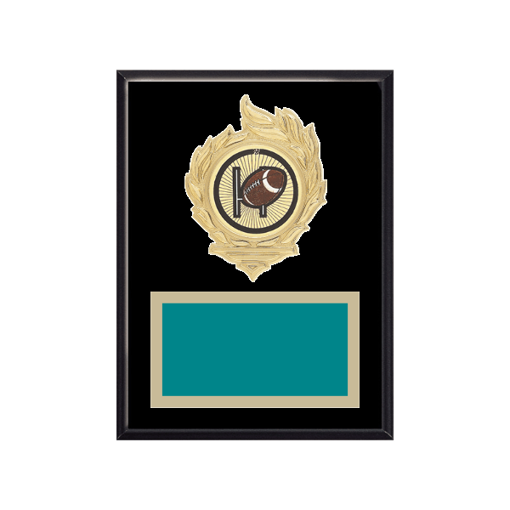 Not only is our Flame Series Medallion Football Plaque the highest quality on the Web - our service and custom design Web app is second to none, and makes ordering a Football Plaque easy and fun! You choose the Football Insert, the plaque board and up to nine engraving plate colors to create one of 1000 different engraved plaque options. Give us a try, and you'll receive FREE engraving plus FREE shipping on orders over $100. . .